How can Lyft win the ride-sharing Cold War? The little things that the drivers do for their riders make Lyft more than a ride. These small acts of kindness shift Lyft: from a service brand to a hospitality brand. Lyft can introduce its services in new cities (expanding to 100 new cities in 2017) by acting like a hospitality brand. Leave an impression (on the tourist, out-on-the towner and everyday rider) with small acts of kindness. We started with the question, “What is it like to ride in a Lyft?” Through interviews, social listening and ride-a-longs we discovered that grand gestures were not what made Lyft special-it was the little things. Lyft is the driver who brought a drunk rider her purse the next day, the driver who always has tissues on hand and the driver who has costumes and a fog machine. Lyft is creating a light up carstache to solve a problem riders have been having. Lyft is not a ride- it is a series of small acts of human kindness. How might Lyft use their expansion to create differentiating experiences for their riders and drivers? We realized that Lyft was already a hospitality brand; they just needed a bit of guidance on how to act like one. We looked to the best in the hospitality business, The Ritz Carlton, to understand how a hospitality brand should behave. We discovered that there is a profound difference between a service and a hospitality brand. A service brand exists to do something for someone, while a hospitality brand seeks to cultivate how they make someone feel. These three learnings, from the Ritz Carlton, inspired us as we crafted the Lyft experiences. Through our interviews, we identified three audiences that commonly participate in ride-sharing and created unique experiences for them that are personal, functional and delightful. .
As a tourist, one constant hassle is figuring out what to do in a new city. 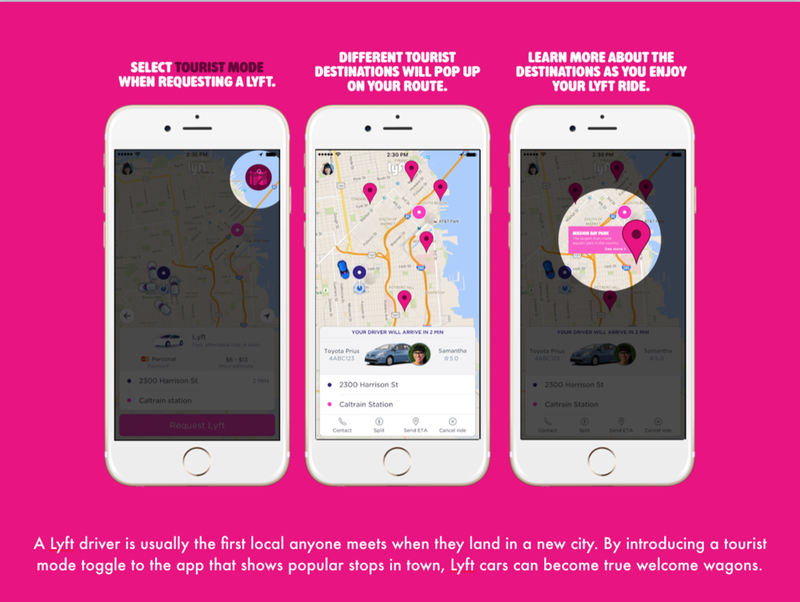 Lyft can be a true welcome wagon with the platform innovation, Tourist Mode, which will highlight favorite destinations crowd-sourced by drivers as well as popular tourist destinations. The actual welcome a tourist receives, as they enter a new city, is often a haphazard train station or airport. 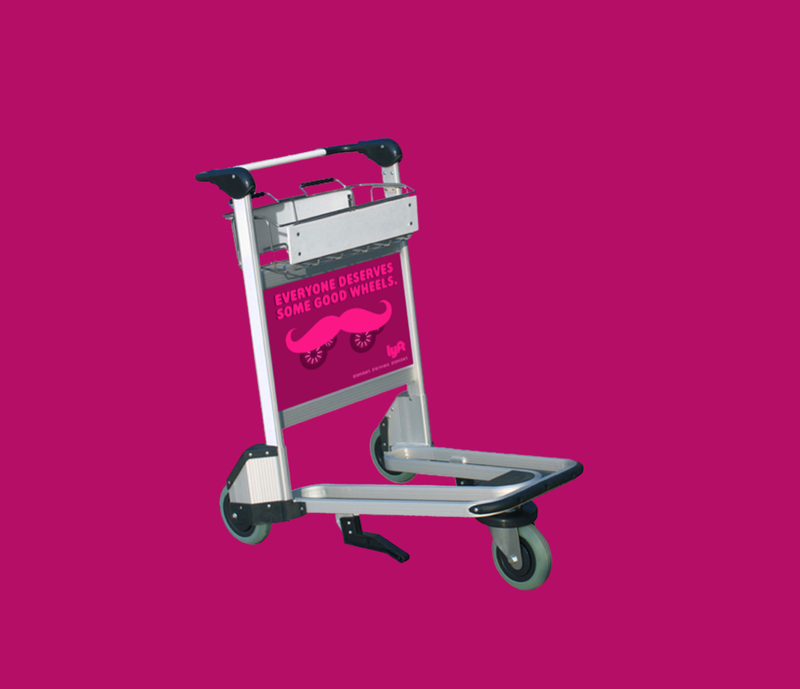 Lyft can offer a small relief, in select terminals, by providing sponsored luggage carts. Lyft is a common option for folks who want to have a worry-free night out. As a moderate or light ride-sharing user the out-on-the towner values reliability (57%) and an easy to use experience (55%) (Mintel). 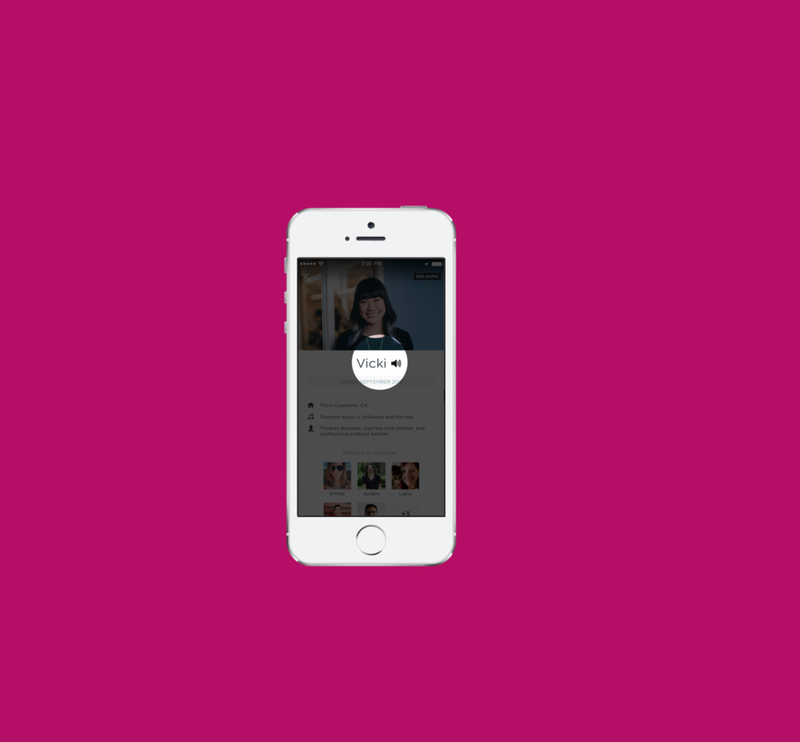 Lyft can create an easy option to allow a rider to begin the night by sending a Lyft to pick up a friend. Lyft will also provide coasters at a variety of bars as touch points to remind people if they do need a DD, Lyft always has their back. Finally, once the night is over select late night Lyfts can provide motion sickness bags for their riders. An everyday rider would not be seeking tourist information or need a DD, but they are seeking a certain level of comfort. They have made the decision to take a Lyft rather than another form of transportation. As a heavy ride-sharing user, they value the quality of Lyft drivers (46%) and the quality of cars (39%) (Mintel). The first thing Lyft can do is to make sure the driver has the ability to say their rider's name correctly. One of our interviewees mentioned that she abbreviates her name because it is annoying to explain the pronunciation every single time. 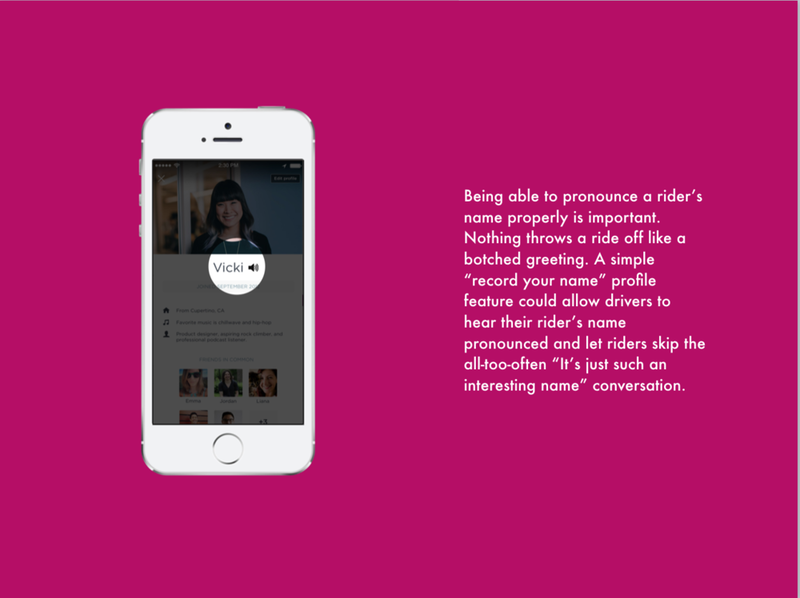 Something as simple as a record your name feature can help a driver make a rider feel welcomed. Secondly, a compare Spotify list will allow drivers and riders to enjoy their time together and perhaps find something in common.